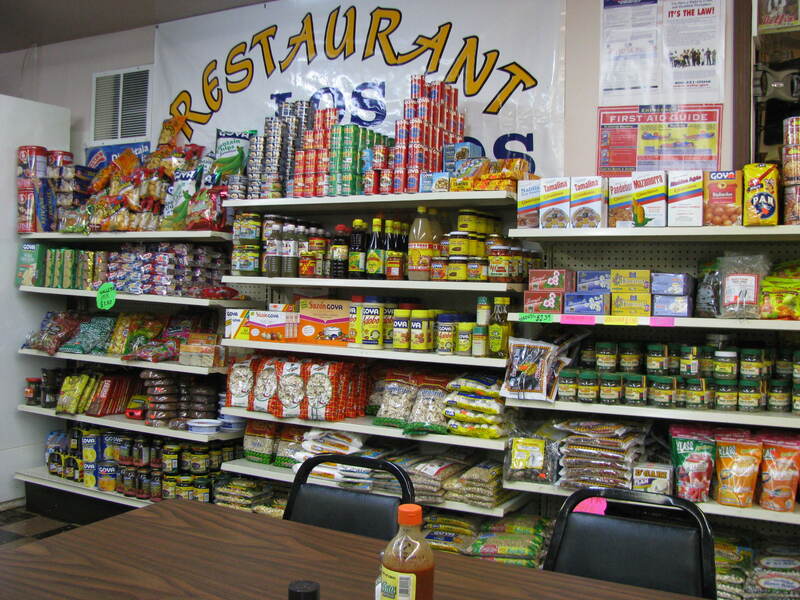 Los Galapagos is a family run grocery store and restaurant specializing, as the name would suggest, in Ecuadorean food with some Colombian dishes thrown in for good measure. It is definitely off the beaten path, on Grener Avenue, south of Broad Street near the exit from 270 but well worth searching out. A couple of notes: It closes at 8.30pm so get there early if you want dinner and some of the Ecuadorean specialities (such as the hornado) are only available at the weekend. 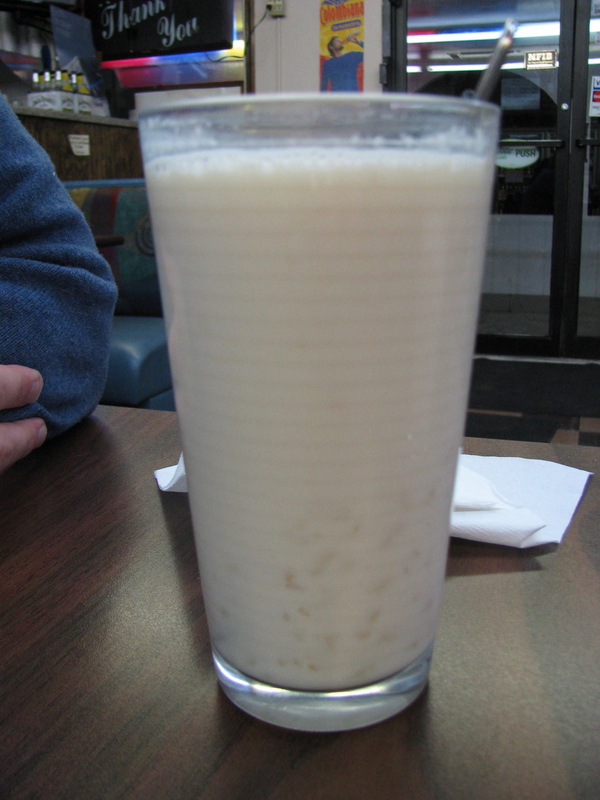 It was a cold night and the morocho (a hot spiced milk drink made with dried corn kernals) was a very popular choice. The food is all cooked to order and while we waited for our main dishes we snacked on some tostados (roasted corn kernals). We also shared some empanadas. 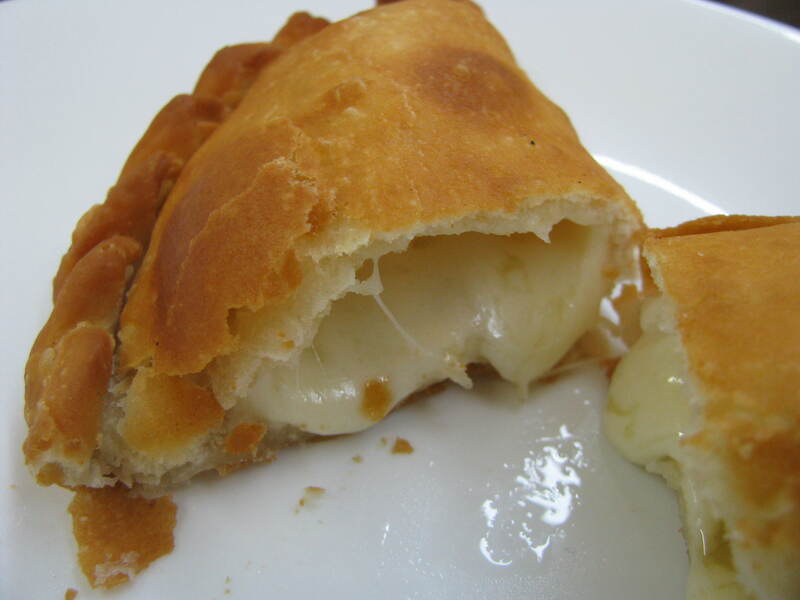 They had two varieties, chicken and cheese of which the cheese was most popular. Taco Drew thought that the chicken tasted like pot pie. 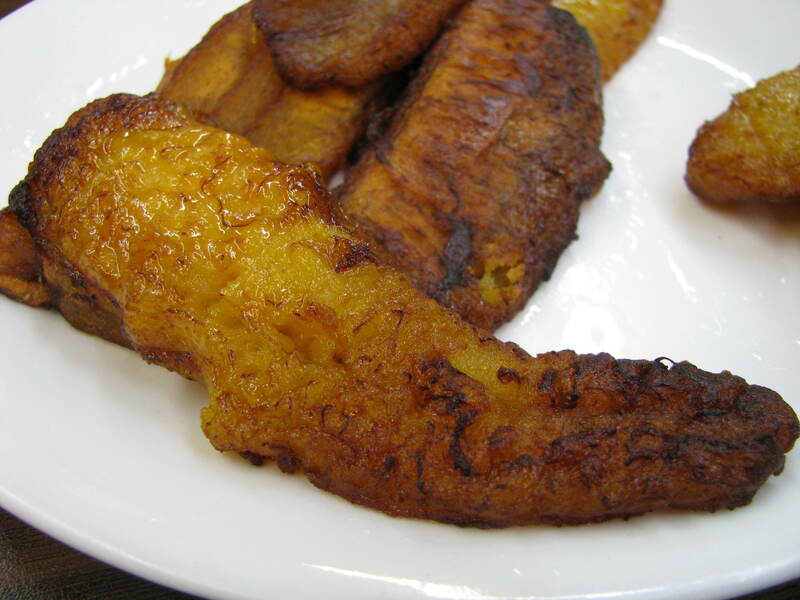 And we couldn’t resist some plantain maduros. 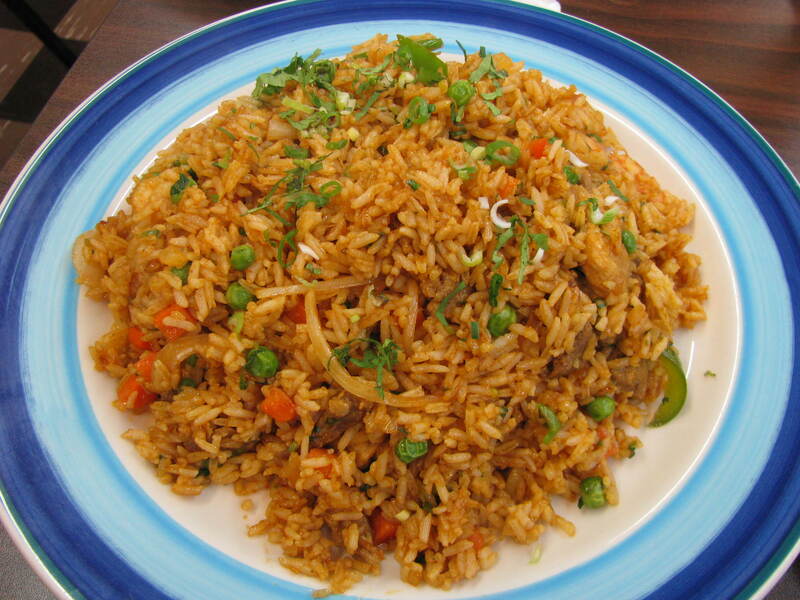 Hunger staved, our eyes almost popped out of our heads when we saw the size of the main dishes. The prices make for an extremely good value. This was my chaulafan, an Ecuadorean take on chicken fried rice with ham , bacon and vegetables. It was really good and enough for two people. 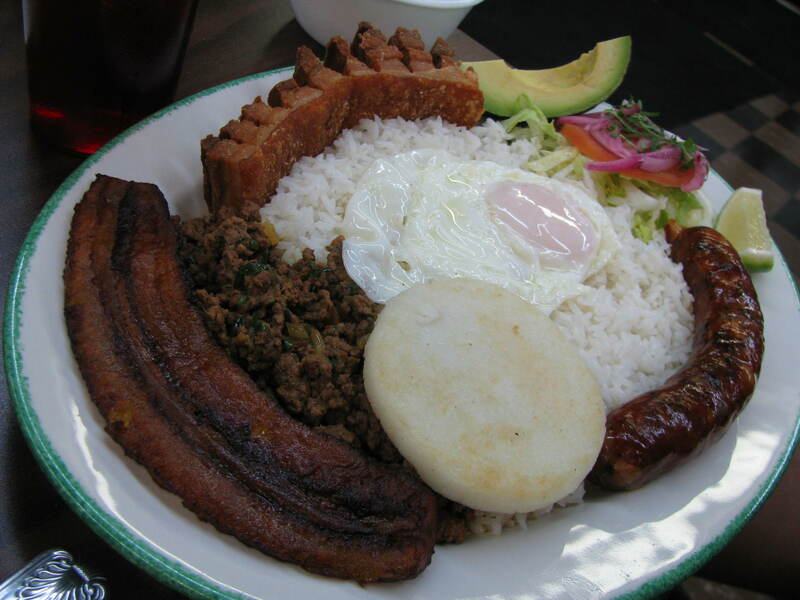 CMH Gourmand and Taco Drew opted for the bandeja paisa, a Colombian platter with rice, avocado, ground meat, pork rind, egg, plantain, chorizo and arepa and beans (served separately). It was a feast of a platter and neither came anywhere close to finishing theirs. The arepa was different to the ones we have had at trucks tasting more like grits than yellow cornmeal. The chorizo was particularly tasty and I was pleased to find that I could buy some to take home. Our friend had a soup with shrimp and plantains, not really a hit because the plantains gave it a peculiar texture. 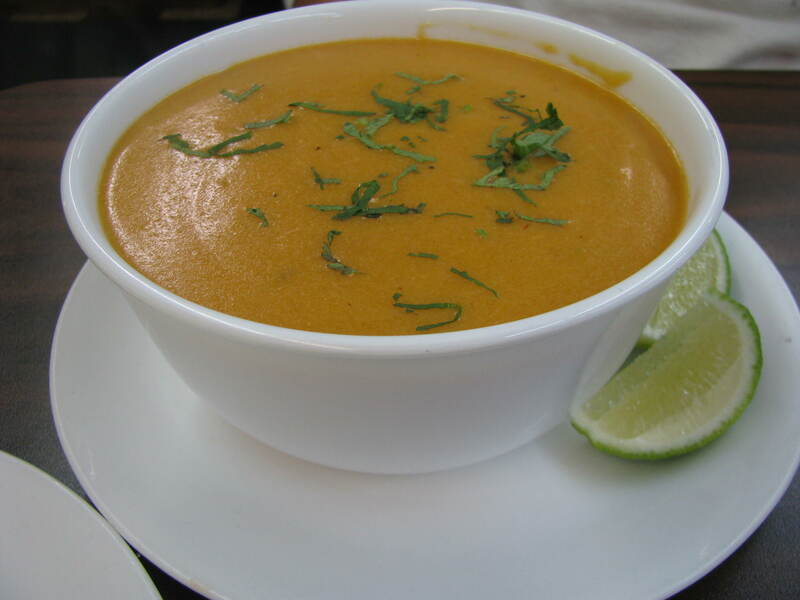 Although we didn’t try them on this visit we heard that the broth based soups are very good. Like Restaurante Salvadoreno on the opposite side of town, Los Galapagos offers the chance to experience a different Latin American cuisine from the more common Mexican fare. A visit to one of these restaurants is a step beyond arm chair travel – when you walk in the door you almost feel like you have left Columbus. This is a no frills, yet charming, dining experience with satisfying, unpretentious food, generous portions and genial hosts. This entry was posted in Ecuadorean, Grocery store, Latin American, Restaurant and tagged colombia, colombian, ecuador, Ecuadorean, south american. Bookmark the permalink. This is without question one of my most favorite hole-in-the-wall restaurants in Columbus. I LOVE the hot sauce that is on the table, and I second that the chorizo is delicious! 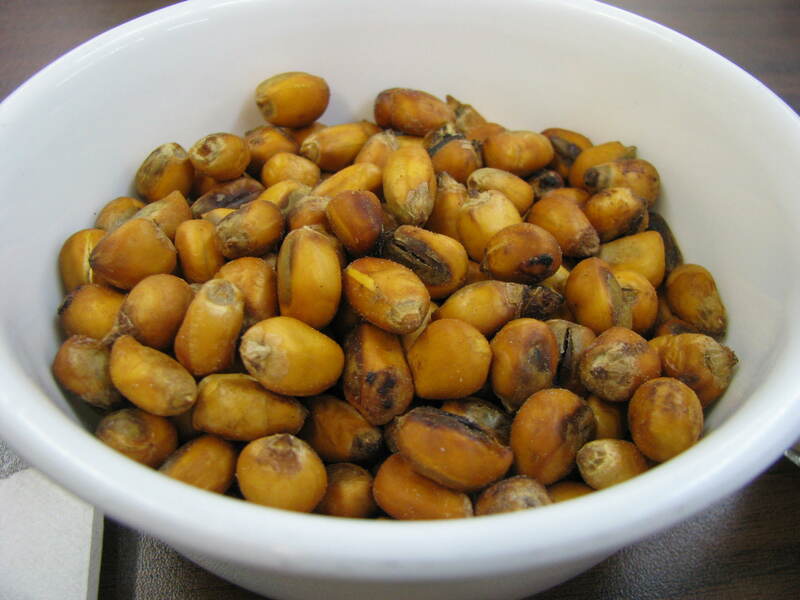 This review needs to cover the cebiche and encebollado, which are popular local dishes in the Ecuadorean coastal cities. No review is complete without them! 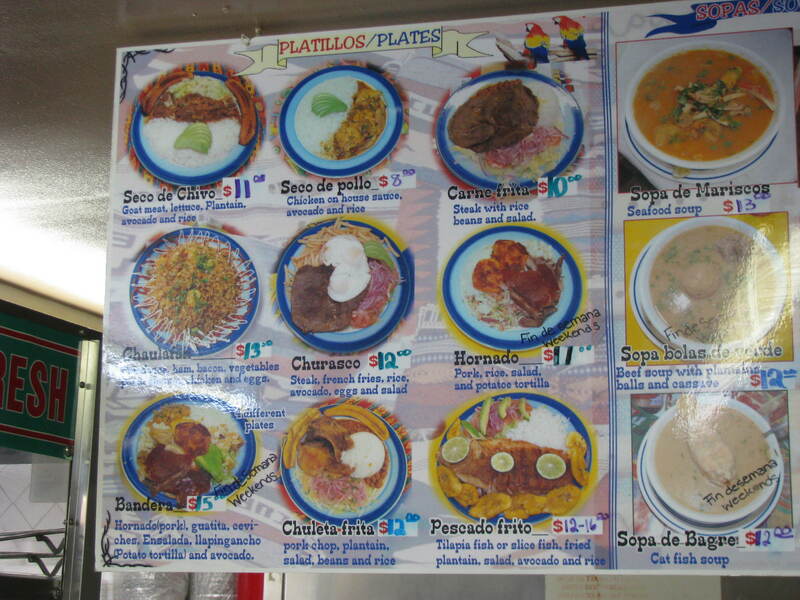 I had the bandeja paisa as well as a steak dish. 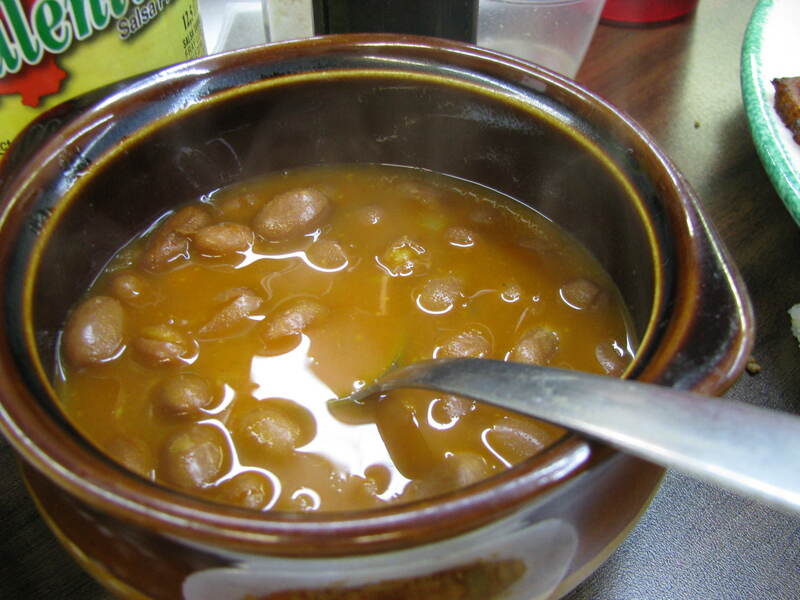 I found that both were very bland and I ended up having to heavily season and spice my meal, with the exception of the beans, which were flavorful. The portions were large and I was able to eat twice per dish.